And then to next project. This has been requested so many times that it makes me hurt. Plane in question is Valmet L-90 Redigo. 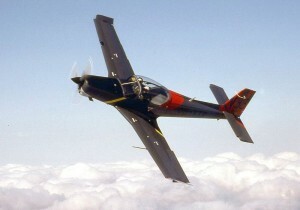 It is an continuation of L-70 Vinka/MilTrainer. The development of this plane had it’s complications. First Valmet decided to add an turboprop to Vinka. After some iterations they designed an L-80 Turbo-Vinha, which has some looks of Vinka in tail section. Wing is different and cowling is totally different to house turboprop motor. Also, L-80 had retractable landing gear. As you might remember Vinka means cold wind from north, so logically Vinha (note h) means just fast. I do really love Finnish language… Sadly L-80 crashed killing pilot Paavo Janhunen. So back to drawing board. An number of modifications were made to tail section. First, sideline was slightly raised at tail. Elevator was moved slightly back and rudder was completely re-designed. New design was named as L-90 TP Redigo. (TP=turboprop) This plane was quite successful, they built 10 for Finnish airforces. And surprisingly 30 was built for Mexico and Eritrea (!). Then at 1996 manufacturing rights were sold to Aermacchi at Italy. Which has continued to manufacture this plane with designation M-290. Then to modeling of this rather sleek plane. I was granted right to use original manufacturing drawings of this plane from manufacturer, Patria Aviation (the current incarnation of Valmet). Great many thanks for Patria Aviation’s support for modeling hobby. Italy manufactured version of L-90 TP Redigo. Note that this pic is copied from Wikipedia. I received an pack of plans containing excellent general drawings of L-80 and tail section of L-90. Then also an set of slightly worn out manual drawings of plane. Tail section of L-90 drawing did not contain rudder. So to get this started I had to merge L-80 front and L-90 tail and then rudder from manual pics. … Slightly complicated, but finally I managed to get it more or less ok. You might notice some visible marks of this process in screen captures of this blog. 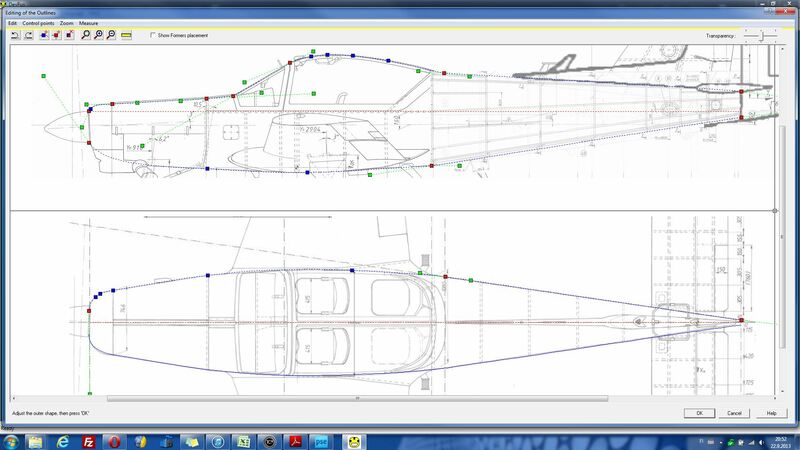 Next I utilized my normal set of tools, namely DevFus to get fuselage outlines done. Current fuse status below, this needs plenty of fine-tuning, but it is an start.